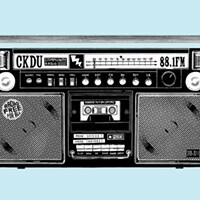 Since 1985, CKDU 88.1 FM has been spinning local music and launching careers like Buck 65. “As CKDU celebrates its 30th birthday this year, it’s fitting that Haligonians once again recognize it as the best radio station in the city,” says station director Russell Gragg. “We engage with local music, and cultural and ethnic communities to create content’s that’s truly as diverse as the city we live in.” As the station starts to expand its online content and delivery, Gragg says it still exists because of the hard work of its volunteers and its community. “If you’re an 18-year-old hip-hop head, a 50-something jazz aficionado, a passionate advocate for the environment or a budding broadcast journalist, CKDU has the airtime for you.” Happy birthday CKDU!